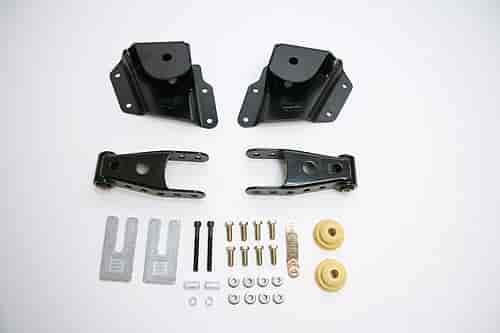 The Belltech Shackles and Hangers are designed to give you an extremely high quality solution to safely lower your leaf spring vehicle while keeping the factory ride and control. All Belltech shackles and hangers are constructed using heavy gauge die stamped steel with a high quality powder coating, OEM quality maintenance free bushings and high quality hardware. This all adds up to Belltech providing a long lasting, high strength product you can count on that will fit perfectly and has superior quality over other brands. Does Belltech 6636 fit your vehicle?